Choosing the right dental office for your needs is not always a simple process. You might wonder things like why doesn't my dentist take insurance? Let's discuss the differences between an unrestricted, private, family owned dentist like Samuels Dental Arts P.C. and an office that signs contracts with insurance companies. Traditionally, dental offices were all private practices that relied on growing their businesses through recommendations from satisfied patients. 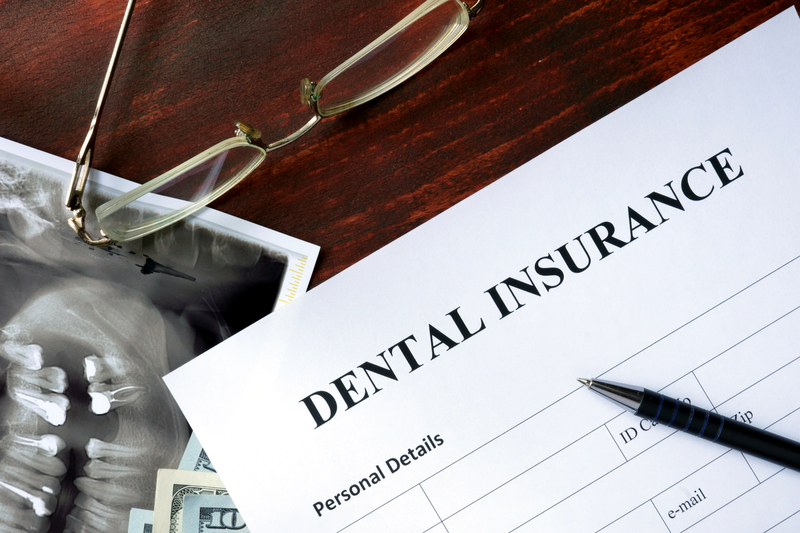 Today, some dental practices try to fill their books by agreeing to sign up with insurance companies. The office agrees to a fee schedule with a particular company and, in return, the company will put the dentist's name on a list and suggest that patients go to this provider. What's wrong with this picture? Well, many people have a misconception about dental insurance. It really is the opposite of traditional insurance that protects you from a big, unaffordable expense. On the contrary. Dental benefits pay for minor things, like a filling or a cleaning, and, in some cases, a crown. Benefits are usually limited to about $1500 per year. If you need alot of work, with several crowns, or implants or dentures, your insurance will quickly max out. It will make little, if any difference if you go to an in network provider or an unrestricted, out of network provider. Insurance will only pay $1500 a year? Yes. And that's with a better policy. While your premiums rise every year, the amount of your benefits often has not gone up since the 1970s! Must I go to an "in network" provider? The answer is almost always no. You may go to any provider. Why should I choose an unrestricted provider? Your insurance benefits may change every year. You may be forced to change dentists every time your insurance changes if you insist on an "in network" provider. Dentists who sign contracts often have to find ways to cut corners. More patients will need to be seen in a shorter time to make ends meet. Private, family owned, unrestricted practices rely on satisfied patients referring friends and family members to their offices. Their focus, then, is on creating and establishing long term relationships with their patients by providing quality care and treating patients like family members. These practices are respectful of your time and value building a long term relationship with you. Remember. You can almost always use your benefits in any office, so don't base your decision on your current insurance plan! If you want to be seen as a unique patient rather than a number in an insurance mill, a private, unrestricted dental practice may be the best choice for you.